About Raul G. Message Raul G.
We really enjoyed our tour with Raúl and would highly recommend him as a guide. 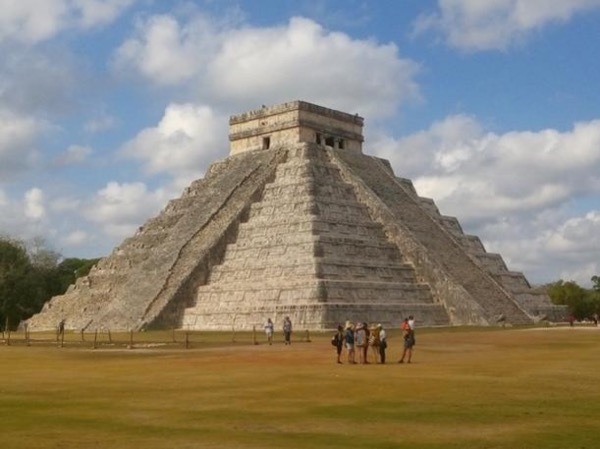 Our private tour started in Merida, visiting Chichen Itza, a swim in a cenote, lunch and a stop in Valladolid before finishing in our Tulum hotel. Raúl is a very easygoing and knowledgeable guide. Our tour was a highlight of the trip to Mexico. Having a private tour took all the stress out of hiring a car and meant we could visit multiple sites with ease. Thanks Raúl! TOUR GUIDE RESPONSE: Hi Mrs. Erica Thank you very much for your nice comments and for trusting me. For me it was also very very nice to spend the day with such nice people like you two. I wish you the best for the last days of your holiday in Mexico and I hope to see you again soon! Raul provided an excellent tour. Not only is he very knowledgable about the history and culture of the area he is very flexible and sensitive to the interests of the tour members. The four of us who toured with him all agreed that this was one of the best tours we had taken. His personality and kindness added to the overall experience. TOUR GUIDE RESPONSE: Thank you very much Mrs. Kaufman! I really enjoyed showing you around and sharing the day with you all. Thank you also for being such enthousiastic about our local culture. I hope your convention in Mérida went well and I hope to see you all again one day! We enjoyed several days of touring with our guide Raul G. He was informative, passionate, knowledgeable and punctual. Highly recommended person and service. TOUR GUIDE RESPONSE: Thank you again Mr. Bill for contacting me and for showing such an interest in discovering to the detail this part of Mexico, thank you also for sharing so much of your knowledge with me. Hasta la próxima! Very informative and comprehensive tour with a punctual, well spoken informative guide - Raul G. Well recommended. TOUR GUIDE RESPONSE: Thank you for your nice comments Mr. Bill. I hope to see you all again one day. Please say hi for me to Mrs. Barbara, Mrs. Alice and Mr. Mark. I had a great time showing you around the Yucatan! Is one of the best shore excursions ever. Raul was very attentive and helpful since the moment we started the process of making the reservation. We went to an original market. He took us to 2 secluded cenotes you could say just known by locals, you can only access them in private vehicle. We had lunch in a little Mayan village where Doña Ana cook a delicious meal for us. Personally I will definitely do this excursion again, it was a good way to support the locals and get to know them. TOUR GUIDE RESPONSE: Thank you very much for you very nice comments Mr. Gustavos (Velazquez & Rodriguez =). It was very nice meeting such nice people as you are and it was very nice showing you around the area. I hope you are able to come back one day and I wish you the best for the rest of your holiday!